The answer: Yes. The question: Could you hijack my yacht? The backstory: It all started at SXSW. 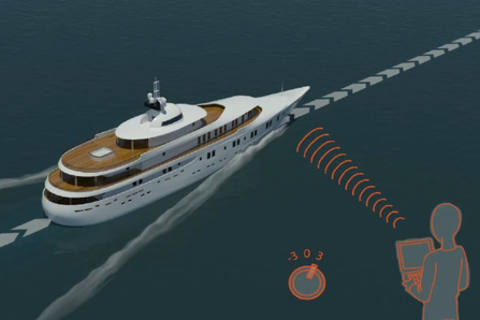 After hearing professor Todd Humphreys report in his 2013 SXSW Interactive panel that he had brought down an unmanned aerial vehicle (drone) with a specialized GPS cyber attack, a distinguished-looking audience member with a British accent challenged him: "I don't suppose you could do the same with a 213-foot Super Yacht?" So began an improbable story that culminated with an improbable scene: a $2k box the size of a small briefcase controlling an $80M yacht the size of a jumbo jet. A team of UT Austin scientists used the custom-made GPS device to take control of the White Rose of Drachs as it sailed last June in the Mediterranean. The White Rose's captain will give a first-person account of the attack. The panel will discuss the technical aspects of the hack and the broader implications of location deception, highlighting the challenge of using location as an authentication factor. I am a mariner and have been all my working life. I am therefore an end user of GPS. For the last 10 years I have been responsible for the operation of White Rose of Drachs a 65m/214ft super yacht. Last year I attended SXSW and met some remarkable people. One of whom, Professor Todd Humphries, came on board and spoofed the GPS receivers causing White Rose to go off course - with out me knowing! The experiment we carried out was a world first and demonstrated just how fragile GPS information we all take for granted really is. Jahshan Bhatti is pursuing a Ph.D. in the Department of Aerospace Engineering and Engineering Mechanics at The University of Texas at Austin, where he also received his B.S. and M.S. He is a member of the UT Radionavigation Laboratory. His research interests are in the development of small satellites, software-defined radio applications, space weather, and GNSS security and integrity. University of Texas at Austin, and Director of the UT Radionavigation Laboratory.